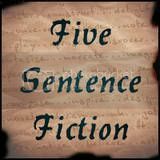 This entry was posted in Five Sentence Fiction and tagged accident, quadriplegic, shopping. A thought provoking piece of writing especially after the recent paralympics which showed just what people can achieve despite their limitations. And that awkwardness that I can even feel taking hold of me how as I become aware of my own prejudices. Thank you Sarah. Perception is an interesting thing, isn’t it. Your first sentence drew me right in with the horror of what happened to her, it made me wonder how I’d cope…probably not well. Very well written Andrew. Being disabled from birth affords a “normality” to the situation that is not afforded by injurious disability. The latter is a tough mountain to climb, and sometimes that peak can never be reached. There but for the grace of God…. Thanks for your comment! Good for her! A few years ago my cousin was in a terrible accident that resulted in her leg being amputated above the knee. I moved in with her for a year while she learned how to liver her life. I was diagnosed with Multiple Sclerosis three years ago and now I’ve also been learning how to live a new life. It’s tough, but it’s the kind of no nonsense attitude that Marie has that will get you though!! We are all so much strong than we think 🙂 God has definitely been showing me that! More power to you Lillie! I’ve seen amazing things from people with disabilities. Incredible things. You can’t let it rule your life, you have to LIVE your life! Thank you Anna. The key to adversity is a positive attitude. I appreciate you stopping by and leaving a comment. A really interesting take on the prompt. Your character has such strength. It never fails to amaze me how people overcome adversity, it’s very humbling. I’ve seen amazing strength from people with disabilities Sarah. It can be awe inspiring. Thanks for your comment. Go on, Marie! Get your shop on. I liked your interpretation of awkward and your description of her accident. ” destiny approaching, hurtling towards her at life-changing speed.” Love that line. Nicely done. Can’t really add anything to what the others have said except to echo – wonderful writing. Thanks for the comment McGuffyAnn. I’ll go over and read your piece now. I really loved this story, Andrew. You showed great care to portray not only the struggles and frustration of physical limiations, but also the determination that is essential to continuing with life… and all in five sentences! I think your character is wise in her assessment that the things which make us feel awkward are often not so much about us at all… a healthy perspective! Thanks so much for your considered comment Josie. As they say, perception is reality! A strong piece that hits home. It is the awkwardness of others that represents one of the biggest frustrations for disabled people. Well done. Very kind Sandra, thank you. Nice job confronting the boundaries of what most of us call “normalcy,” especially when related to something simple like dressing. I like that Marie’s got such a strong sense of self so recently after her accident. And I love that she still revels in activities like shopping! I love how this story invites us to examine our own reactions and biases, but that it does so without judgement or blame. Really nicely done. Thank you Kern. I appreciate you stopping by. A double whammy of awkwardness! I really liked this. It would be interesting to read this from the shop assistants viewpoint too. Very interesting Kate – I’ll have to put some thought into that. Thanks for the comment. Life is what you make it – unless you let other people define it for you. I couldn’t agree more. Thanks for commenting JzB.